One of the first features and perhaps the most important that would attract you once you enter into the mainbowl of the Okigwe Stadium is its newly laid synthetic turf. That, in its own does not imply that such has never been seen in this part of the world because artificial pitches have indeed become as common as the stones in our streets. What could then interest one in the playing surface? Perhaps the resplendence of the turf which oozes some sweet ambience capable of bringing the best to the fore in terms of good footballing artistry and quality is noteworthy, at least for a first timer. 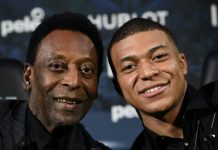 The newness also comes with something new in its debut season in club football and in this case; it is its charm to goals. 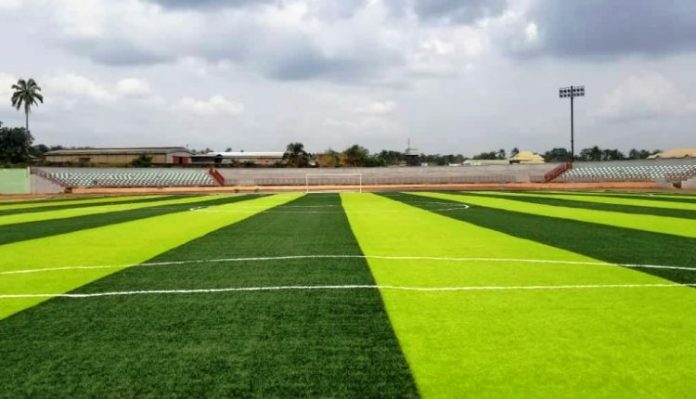 After 13 matchdays in the Nigeria Professional Football League (NPFL) and seven matches at the Okigwe Stadium, the turf has lived up to this charm at first sight. It has delivered goals like no other turf in the division with many of them sure contenders for goal of the season. Last term, Heartland FC courted and flirted with relegation like a hopeless Sodomite with their plight aided or unaided by a very difficult pitch at the Dan Anyiam Stadium in Owerri. To put it in proper perspective, a total of 17 goals were scored in the 12 games decided in Owerri last season, an average of 1.4 goals per game. Fast forward to the 2018/19 season and the Okigwe Stadium has proved to be a direct opposite to Owerri in every positive sense. Nineteen goals have been scored so far in the seven games decided at the new stadium, already more than the total scored in 12 games in Owerri last season and a significant rise in average from 1.4 to 2.7 goals per game. “This pitch? You go jus wan shoot at anytime o (on this pitch? 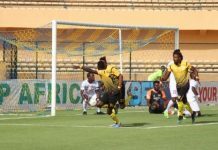 You will be tempted to shoot at goal at anytime),” a Heartland FC player who did not dress for the match said during the entertaining first half of their clash with Kano Pillars on Sunday. “Na this kain television goals people dey score since we start to dey play here (We have witnessed spectacular goals since we began playing here),” added the player after Godwin Emmanuel gave the hosts the lead with a brilliant half-volley from the edge of the box in the 12th minute. True to his words, the other two goals in the contest could also be classified into the “Television goals” category. It should not just be a coincidence that no stadium in the league (in both Groups A and B) has witnessed as much goals as the Okigwe Stadium this term (calculating Wikki Tourists games differently to Gombe United’s). Additionally, there has not been a goalless draw in the seven matches played so far on the turf with goals by Akwa United’s Mfon Udoh and Kano Pillars’ Rabiu Ali in recent matches at the stadium ranking among the best that could be had this season. Since the round leather game is all about goalscoring, an art which brings the loudest ovation in any football centre; host team Heartland have also done their best in training hard to score the best of goals at their stadium lest their visitors benefit from the charming influence alone. 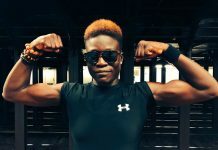 “I will say that goal came from practice. Practice, practice, practice,” Heartland’s first goalscorer and captain on Sunday, Godwin Emmanuel, told npfl.ng after the game. “That is what gave me that opportunity to be able to score that kind of goal because we do a lot of shooting in training. As I saw the flight of the ball, my mind told me to go for it and I went for it and it entered. That is it,” added the right back. After a brilliant start to the season during which they scored seven goals in their opening three games in Okigwe, Heartland have seen results degenerate in recent weeks. 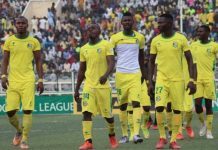 They had failed to win any of their previous six games before Sunday’s nail-biting 2-1 win over Kano Pillars which culminated in their downward slide into the murky relegation waters. Sunday’s win lifted them out of the relegation zone at least for another matchday but to stay permanently out of the dogfight for the remainder of the season, the ‘Scientific Boys’ must realise that they need more shooting practice to score lot more goals especially on the alluring turf of the Okigwe Stadium.